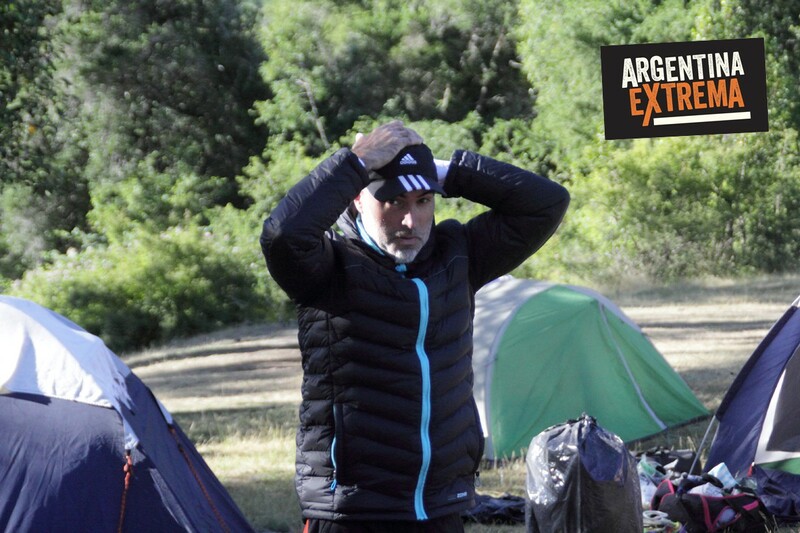 We started the adventure in the city of San Martín de los Andes. 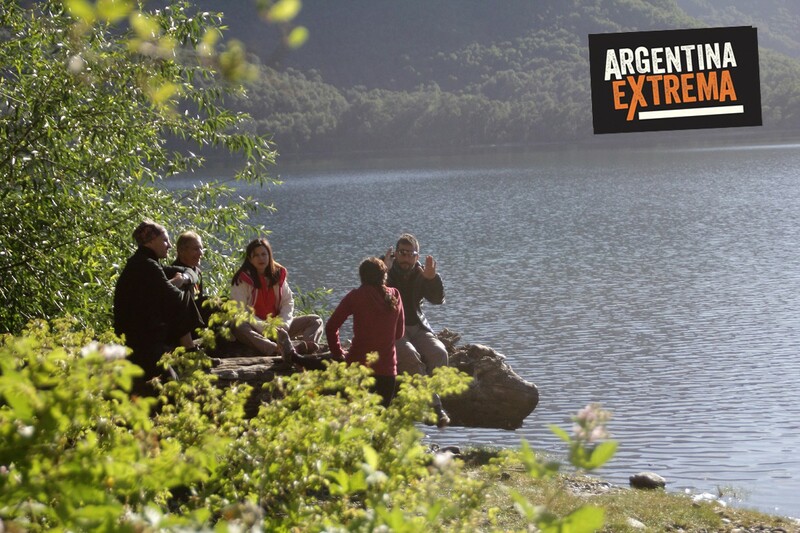 We were walking the stages of the path of great tour of Patagonia (Andean footprint), which together are known as: “those of the basin of Lácar”. 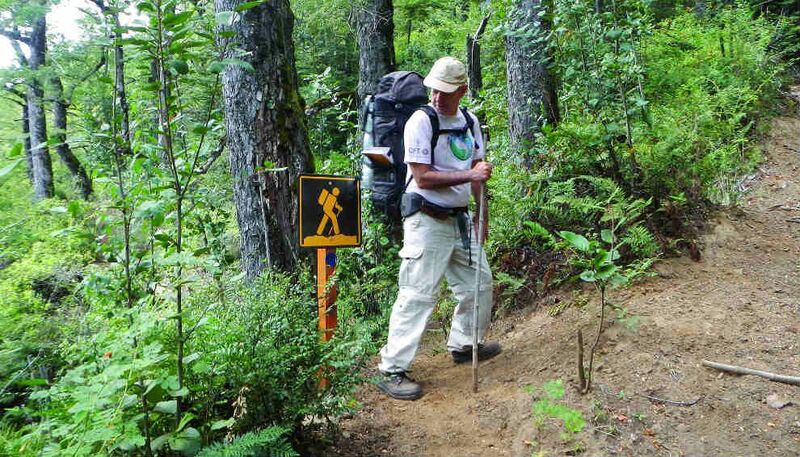 We start with what there is to do when faced with a day of trekking in these paths: checked, in this case, by jurisdiction, in Lanin National Park, specifying when would come out, and when we would come (according to plan) at the end of each stage. This is done mainly for safety reasons, because if not we appear Rangers will be aware and will come to look for us. It is important to also talk to them to find out what’s new at each stage (possible deviations due to various circumstances, a problem with the signs that mark the road, etc.). 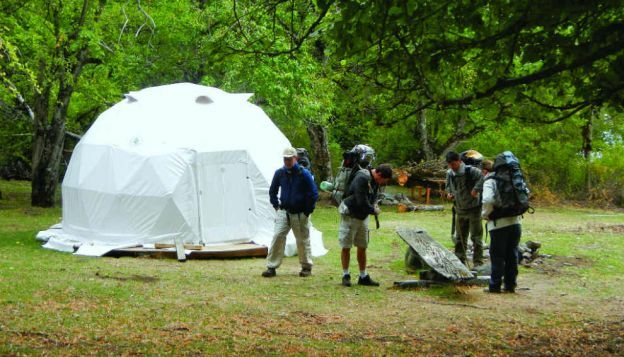 And, finally, to have the authorization of use for the large geodesic dome located in the area of Lake Lácar coast known as Ruca Ñire. 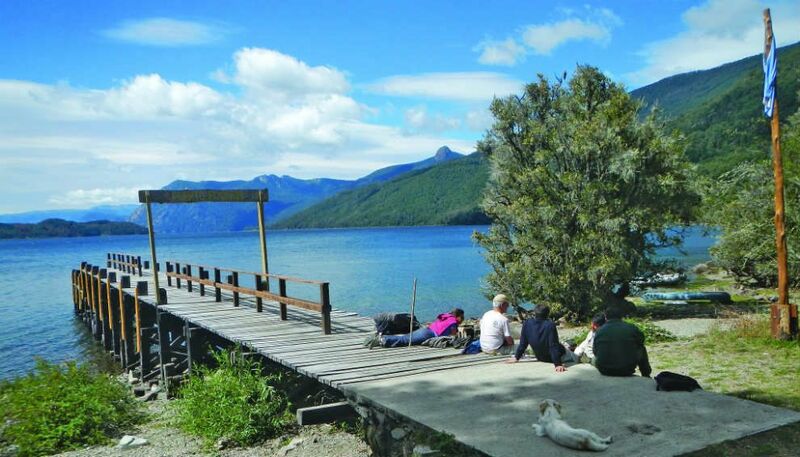 Once registered we will go to the dock from where part Lake service that will take us to Quila Quina, a tourist village of the Park, surrounded by the territory of the mapuche community curruhinca. Here begins the first stage of trekking. 10.3 km walk will take us to the place Llao LLao, known also as a Casanova. The path begins on the street leading to the dock, and then goes up by well marked trails gaining height. Passes by the side of a beautiful waterfall formed by the arroyo Grande, to then go to surrounding houses inhabited by the people of the community. Slowly, the path climbs up cuts and a local dirt road. The arroyo Grande is always left on our right. In a moment, we descend to cross a Creek on a fallen trunk and crossed an open pampas; We then return the vehicular track to pass several gates (that must be closed). 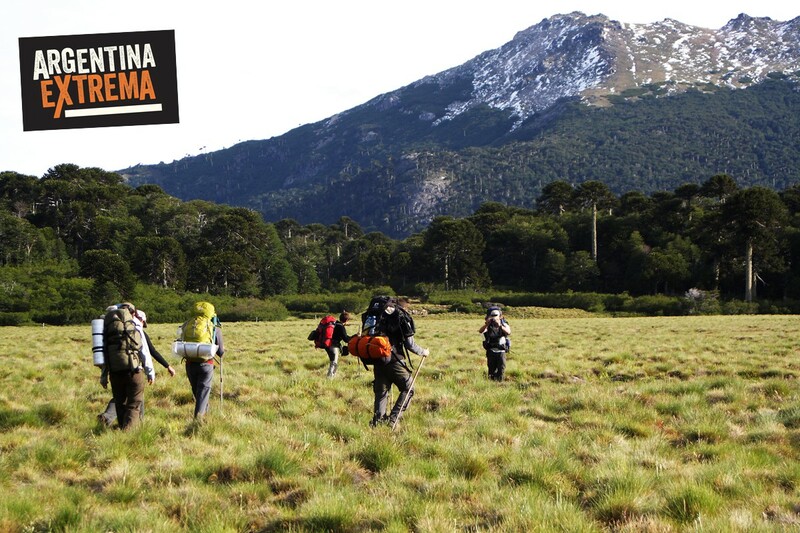 After the third we will arrive at the station of Casanova, a Creole population that has a camping site, a small mountain hut and a carpones Dome where we will stop after this first day. The next day we started the stage to Ruca Ñire. It will be of medium difficulty and distance to travel almost 16 km. start of the population Casanova by a vehicular road 800 m. Just a while, we’re wading the arroyo Grande. After Ford we continue along road about three kilometers in the direction of Lake Escondido, to a plain where we find paths crossing signs. The poster and the blue and white signs of Andean footprint indicates the path to Ruca Ñire. 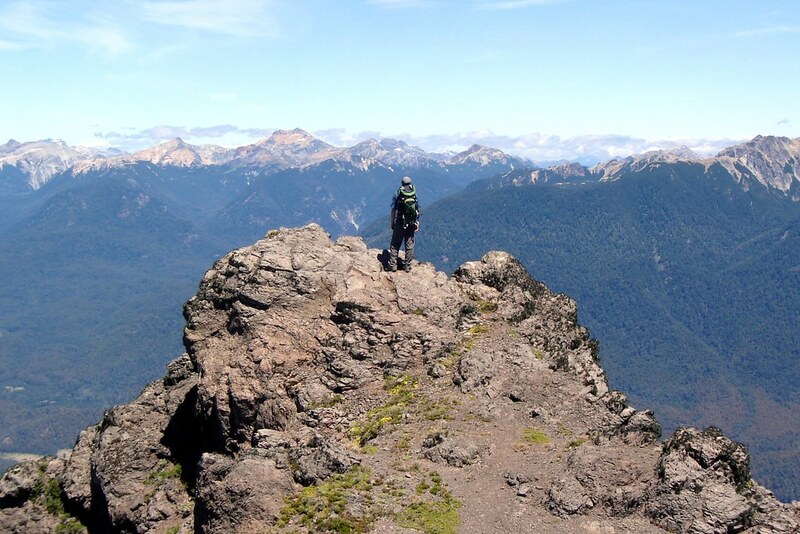 We must live up to a step between mountains, rise is heavy but relatively short, about 25 minutes of ascent, and then started to go along flatter terrain. After a while we came across the laguna El Toro, a small mountain mirror surrounded by reeds. 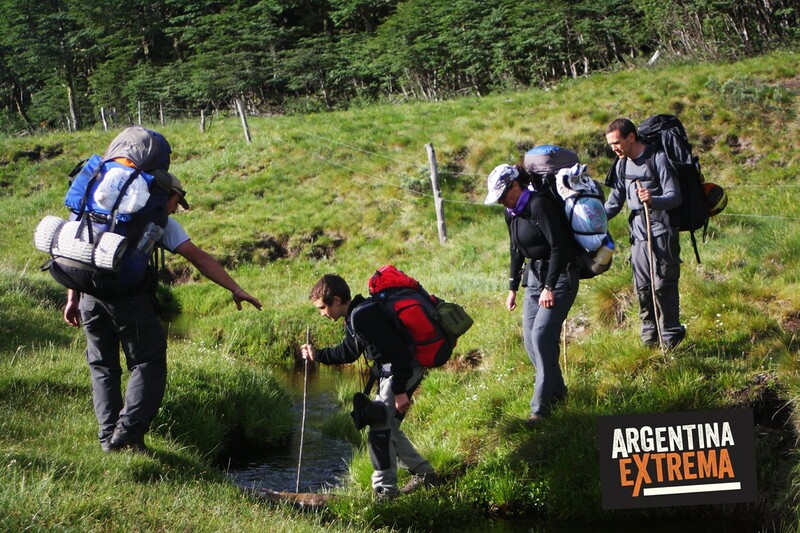 We walked by the passage and then begins a descent of land of about two kilometers and a half. 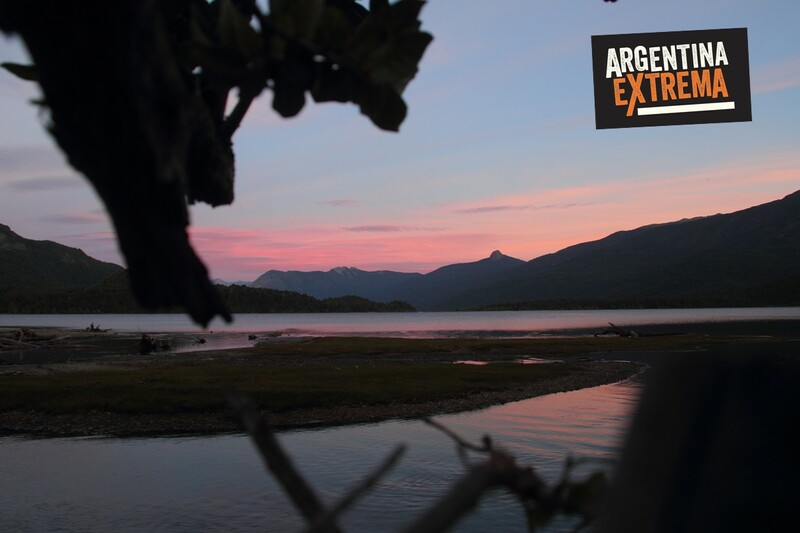 Vegetation amazes: Patagonian Oaks, raulies and coihues of large surround us… Among the trees we are sighted increasingly closer Lacar, until finally we arrive at the beautiful shore of the Lake. 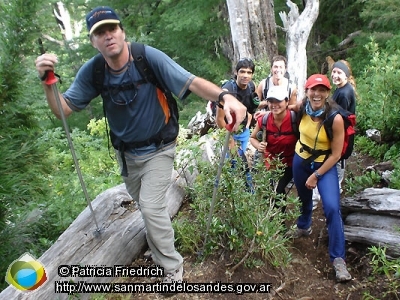 We continued and now the ground will faldeando near the coast, with small climbs and descents. 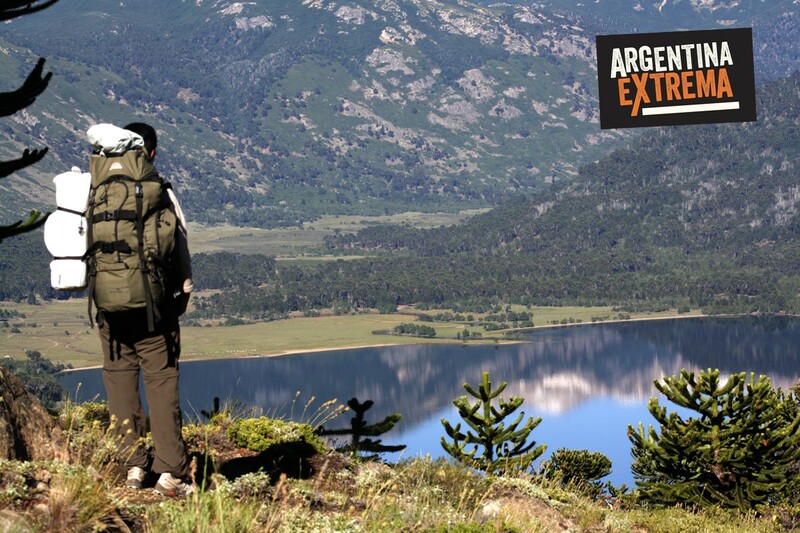 In the afternoon we arrive at the Ruca Ñire Pampa, a special place where there was a sawmill at the time where the economy of the place depended on the exploitation of forests and national parks that turned to tourism. The next stage will be of low difficulty. 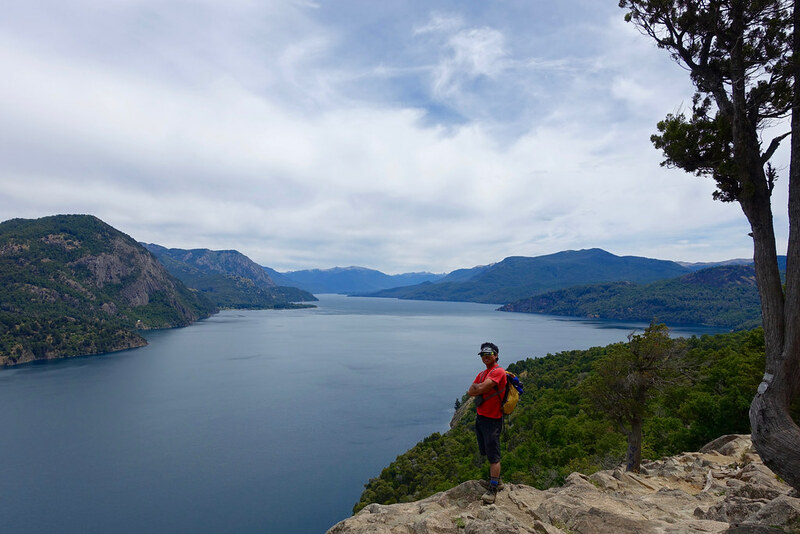 Starting from Ruca Ñire, we started an emerging soft until you reach a fork in the trail. 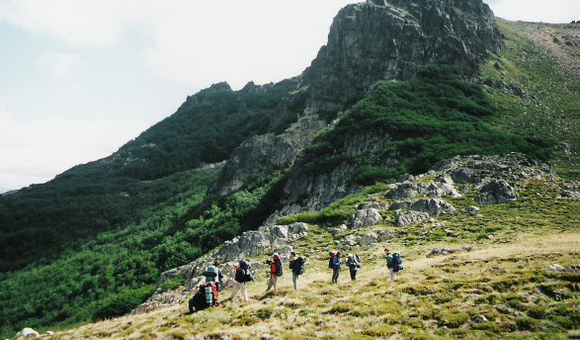 We take to the right, the trail has climbs and descents minors, with good views of Lake Lácar, then widens and started the descent towards the paraje Pucara, which we reached after two hours and a half. There is the Castro population. 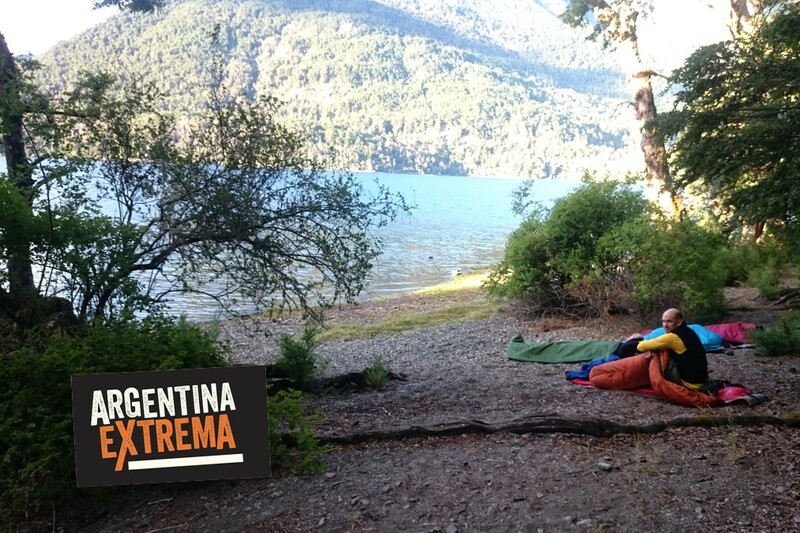 A few meters ahead, near the pier of Pucara, there is a free primitive camping, bathrooms and a supply. 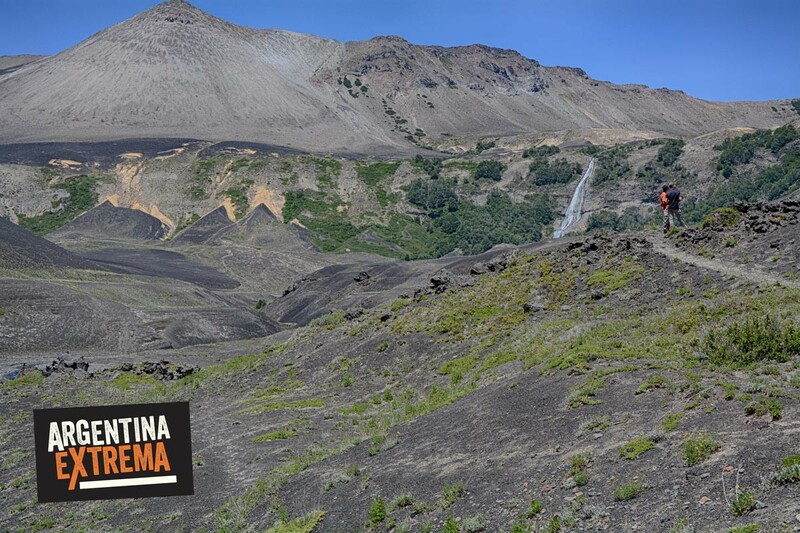 We crossed the Pucara hanging footbridge and follow a vehicle road for 4.5 km which leads us to the spot Chachin, where is found the waterfall of the same name. There is a small grocery and an area of free camping on the Lake. 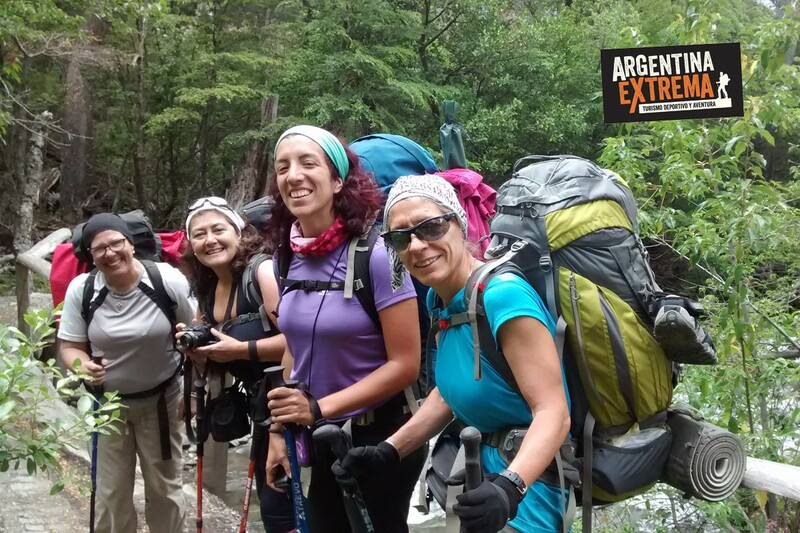 To continue journey, crossing the bridge of Chachin, the path leaves the vehicle road and directs us to a beautiful beach called Puerto Elvira, then began to climb through the forest, across the vehicle road until you reach the bridge of the Hua Hum River twice. When crossing the bridge, 300 meters we find reports Van Dorser Center, where is the part of our arrival in the Centre of reports of national parks. Later we went to the lodge Hua Hum, where we took a small cabin to give us a well deserved rest. The next day, as a finishing touch, we decided to make the rafting of the Hua Hum River. 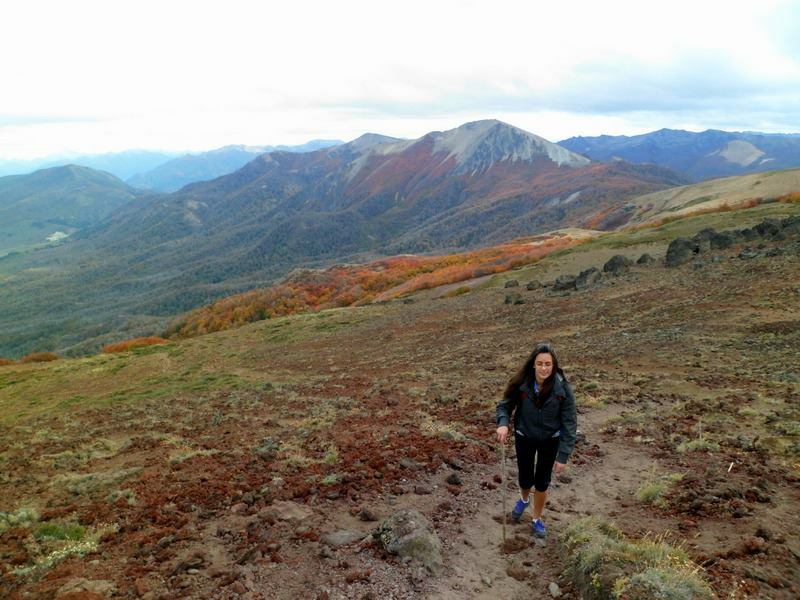 It is a very particular activity because it is bi-national, and we went to Chile. The Hua Hum River flows into the Pacific and is located in the Valdivian forest, with its wooded and adorned with vines and tree ferns, lush vegetation. 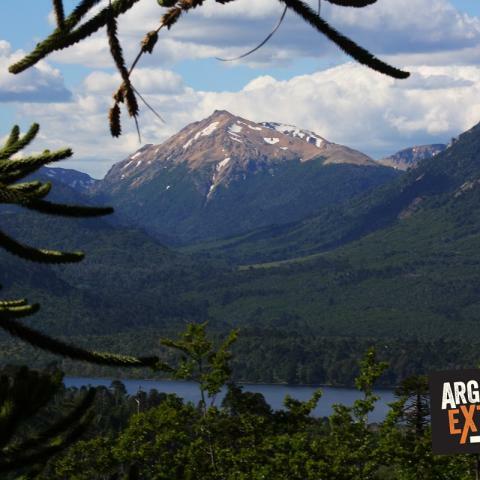 It is one of the places with the highest diversity in vegetation of the National Park. 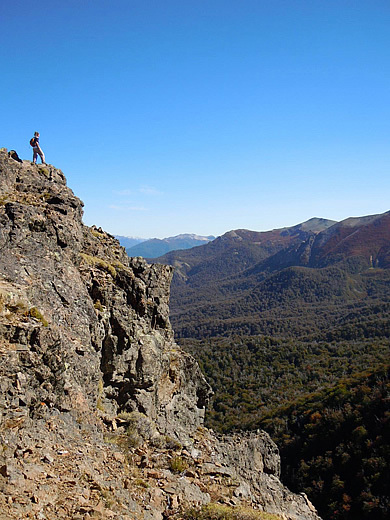 Only return to San Martín de los Andes to finish this trip, where we enjoyed these three stages of magnificent hike, worthy of all public because they do not require a significant effort.